If you’re having a hard time trying to get some sleep and all you do is toss and turn in Tucson, there are a number of essential oils that can help you overcome your insomnia. The essential oils have a similar effect to herbal teas that induce sleep. Insomnia is a common occurrence in adults that is usually associated with lack of sleep. If you have to wake up early in the morning to go to work, you wouldn’t want to end up dealing with grogginess and lethargy. However, it’s not only stressed out and busy adults who end up having a difficult time trying to sleep at night. Parents with younger children can relate to how sleepless nights can become quite problematic. This is because their little ones can’t simply drift off to sleep without any problem. In such situations, aromatherapy can be of great help. The use of essential oils is known to promote specific brain sates such as a restful and relaxed mindset which will naturally help you fall asleep. All you need to do is add some sleep-inducing essential oil to your diffuser before going to bed. If you’re planning to use essential oils to help deal with your insomnia, there are several ways of how you can apply them. Most people opt to add just a few drop of oil in their diffuser. However, you can also mix some of the oil to your face cream or even put some drops on your pillow. If you’re planning to use your essential oils on the skin, make sure that you buy the therapeutic grade oil. Don’t forget that essential oils are very concentrated therefore a little will serve you for a long period of time. Remember to watch out for the kind of allergies you have. Go for scents that you’re familiar with because you dint want to end up dealing with complications such as sneezing or headaches. As always the best is saved for last – doTERRA Restful blend. If you can afford it, then this is the best essential oil to achieve the restful sleep you’ve been longing for. Although the recognizable scent is lavender, this is actually a blend of cedar wood, Roman chamomile, marjoram, ylang ylang and vanilla. In terms of scent the essential oil is highly polarized. Although some people don’t mind using it, there others who find the scent to be pungent. Obtaining good sleep is just like investing towards a productive and successful day. If you can afford to purchase this oil, you should definitely go for it. It is the best essential oil to use to help you deal with insomnia at the end of a tiresome day. How to Use: If you intend to use a diffuser, put 4-5 drops of the oil. Similar to other essential oils, you can decide to either add it to water for deodorizing a room or use it with a carrier. When it comes to essential oils, doTERRA is one of the most trusted brands. You can purchase this knowing that you are getting on of the best quality brands. However, the essential oil is available at a steeper price. Lavender scented essential oils are expected to be a staple choice in all homes, therefore purchasing a bottle of doTERRA is an ideal thing to do. Although it more expensive, you’ll be purchasing a peace of mind. How to Use: If you intend to use a diffuser, put 4-5 drops of the oil. Similar to other essential oils, you can decide to either add it to water for deodorizing a room or use it with a carrier. doTERRA lavender essential oil can be consumed internally, this means you can use it to cook. This essential oil is calming mainly made of lavender, that helps reduce anxiety and stress. 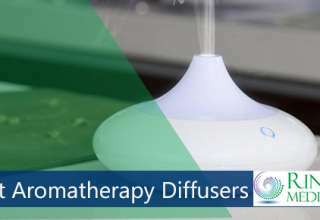 The oil has a pleasant smell and is performs well in diffusers. It is a blend of lavender, marjoram, clary sage, chamomile, ylang ylang as well as other sleep inducing oils. This brand is rather expensive. If it doesn’t agree with your budget, go for the Healing Solutions Goon Night Blend instead. How to Use: If you intend to use it in a diffuser, add 4-5 drops. For skin application, make sure you use any carrier oil prior to applying it on your chest or at the bottom part of your feet. you can also choose to put a couple of drops on your pillows or bed sheets. This essential oil is of good quality and very affordable. If you want an essential oil that will help you overcome your insomnia, then this is the perfect product for you. Its lavender scent is both calming and soothing. The oil will not only work well with your diffuser, you can also choose to use it for different purposes around the house like a deodorizer or fabric freshener. Given its price, you can also afford to purchase a different milder scent that blends with it especially if you find the strength of lavender scent to be overwhelming. How to Use: If you intend to use it during a relaxing bath or a diffuser, add 4-5 drops. It can also be applied on the bottom part of your feet. The plant therapy essential oil brand us made using great quality products that are genuinely organic. This is mainly why it is included on the list. This is one of the essential oils on the list that have low prices. If you like organic products and don’t mind the lavender scent, try it out. You can also try out their other essential oil scents. How to Use: If you intend to use it in a diffuser, add 4-5 drops. Make sure you use any carrier oil before applying it on the skin. You can also try out their other scents. This cold processed oil is 100% purely undiluted. 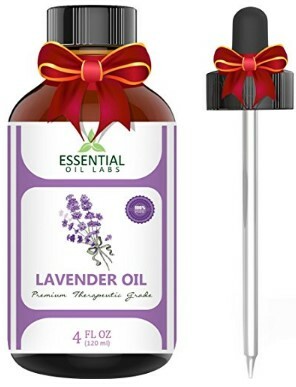 The manufacturer was thoughtful enough to include a glass dropper – glass is a safe material that can be used on sensitive liquids such as essential oils. Using the glass dropper is an effective way of making sure that you add the right amount of oil drops to the diffuser. This is a good essential oil that can be used by both adults and children who have a hard time trying to sleep. The price is also pocket friendly. How to Use: If you intend to use it in a diffuser, add 4-5 drops. You can directly apply it on your feet or at the back side of your palms. The essential oil can also be put on pillows and bed sheets. The New Food Peaceful Sleep Blend is a combination of tangerine, orange, ylang-ylang, lavender and sandalwood. However, the predominant sent perceived is citrus. People often associate citrus as being an energy booster instead of its calming and soothing nature. This essential oil is highly recommended for those who don’t like lavender scents or for children who the scent of citrus and require a natural sleep motivator. This blend is also the ideal choice if you normally experience the “broken sleep” insomnia that has you waking up numerous times during night in a restless state. This essential oil is an affordable and good alternative for the higher priced products available in the market. How to Use: If you intend to use it in a diffuser, put 4-5 drops. For body application, first use any carrier oil prior to applying it on your skin. As room spray, use 30 drops per 1oz of water.